As a Graphic Designer I meet a lot of business owners. Those wishing to succeed are passionate about their business. Always looking to the future. Whether revamping an existing brand or working with a Start Up, I’ve been asked what are the most important things I can do for my business. I’ll share three. You see a need. You can improve the world. You have the skills.Who? Now you must promote your enterprise. Know your Business. Promote your Business. Have Business Cards. Promote your Business. Create your Plan. Promote your Business. Find your audience. Promote your Business. How do you promote your business? Start with your family, friends, Tell them what you do, How you do it! Where you do it (how can you be contacted). Give them some business cards to keep & share with their friends & connections. When explaining consider the Albert Einstein Quote: “If you can’t explain it to a six year old, you don’t understand it yourself.” This will help you develop your introduction to potential customers your ‘Business soundbite’ (Elevator Pitch, your Promo Spiel) too. • There are lots of free ways to promote your self. You’ve been collecting your own network for decades. Email address’, Others business cards, colleagues from work, college, other interests. You may have Facebook (create an FB business page), Google Plus, Twitter, Linked in etc. Profiles. Online directories, websites relevant to your local area. You can target specific areas and enterprise too. That depends on your product. • Many business assistance institutions hold free and subsidised networking events. Your Local Enterprise Office (LEO), Chamber of Commerce, Area Partnerships, Local Development, Business Network Ireland (BNI), Banks, golf, Women in Business, even some private business business support groups hold seminars, events, exhibitions. When you get out there, you’ll talk to other business people, you’ll discover more opportunities in your area. Starting out it would be good to have a beautiful designed Business card expressing your business effortlessly. Your budget will dictate the quality, but the important thing is having a business card. A business card is that memorable, important little promotional piece you will leave with your prospective customer. It’s the simplest method of sharing your business, name & contact details. It’s also something you can write a quick note on for your customer or keep track of people you meet and contacts keeping note of where and when you met them. A Perfect Promotional Piece. Your calling card everybody knows what that is. Leave a little of yourself behind. When creating your Business Card give priority to your Business Name/logo/symbol, adding a byline is optional. Your name and telephone number are essential and should be ‘writ large’ or at least highlighted in some way. Include your email address and Skype, if you have one. With less prominence you may include your postal address and other appropriate means of communication that a potential customer may use to contact you. Remember people will read this in their hand, only whipping it out at haste if they need to phone you from a telephone booth. On all other occasions they will be comfortable and can read at their leisure so the text doesn’t need to be huge. Space is your friend. • If you need a card quickly create one on your computer and print it out. Ask your computer savvy friend, offspring, spouse to do it if you don’t have time. The card size should be a little smaller than your banking card. Around 5cm by 8cm is the average size. It fits easily into a wallet, Business card book & doesn’t take up to much room in ‘the drawer’. Print it onto a coloured, attractive paper or card at least 160gsm, card is preferable (available in school & supplies, stationers, art shops). When you are a little more established you’ll find a Graphic Designer to create your business specific, bespoke, clear, beautifully designed appropriate identity (logo/ symbol, Visual brand) and business card with Stationary. A Business Card designed by a graphic Designer will be all about your business, for your business. How does it work. You engage a graphic designer. You’ll share your business how you like to be viewed by your customers and your business vision a with the designer who’ll then create an identity that reflects your business, it’s personality, aspirations and function. Sharing the feel good factor and encouraging your customer to to see your business as professional and that it can fill their need. The designer will emphasise the positive and make your identity memorable. You can be part of the process. When all the decision makers are pleased with the solution. The designer will create the artwork for professional print out put or as appropriate. Source the printer, send the artwork and follow it through to the final piece. Business cards are part of this process and will reflect your brand. One : Promote your business. When you email, send a promotional piece or post a letter a potential customer follow up a few days later with a phone call. • Smile before you dial this will make you sound less serious/ happy and confident while you remind your potential customer who you are, why you sent an email and request a meeting with them or ask if they could introduce you to that someone in their business whom you can do business with. Unless you have had the foresight to raise investment & monies for your business, you may need some additional funding. Financial institutions, Grant agencies, Business assistance, Local Enterprise Offices, local Development etc. will ask for a business plan. They’re interested in your abilities, can you do business? Do you understand your business, markets, day to day, future prospects? What your business does? How your business will do it. The financials, your expenses, equipment and your projected earnings. Most have guidelines or a template you can fill in. Download a few examples of Business Plan templates AIB, Bank of Ireland, Teagasc, Enterprise Ireland. The various institutions will need you to concentrate on the information they need for them to make their decision. The most important reason you need a Business Plan is •• What Your Business Plan can do for you •• In particular the plan part is most important to the success of your business. What exactly is the product or service you are selling? Is it, or how will it be, ready for its market? How do you go from developed product to first sales? Where, precisely, are those first sales coming from? What team will achieve this? 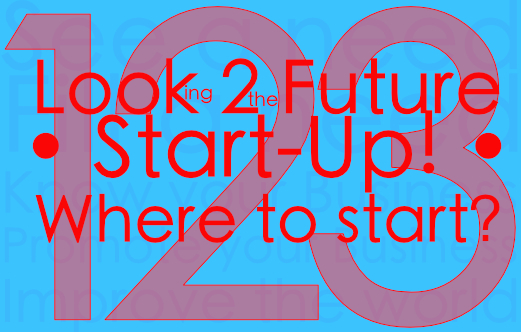 What are you expecting your business to be doing in a few years’ time? What team will be achieving that? Should it be the same? The longer term view and the commercial strategy of the business. 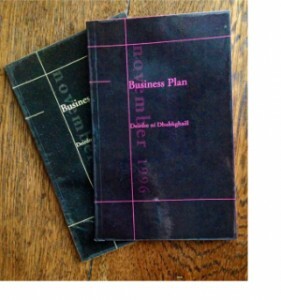 Your Business/ Enterprise Plan should be revisited, reviewed & updated every two – three years. This will keep you on track with your vision. It will allow you see what has been working. How you can take advantage of recent developments, technologically, internationally and your local environment. Ensure you reach your long term goal. Your business product or service may be suitable to promote online such as on Done Deal or Adverts.ie. A business with physical products and some services are very suited to such online outlets. Facebook and eBay provide a shop facility. • A Facebook Business Page, useful and free to every business, (13/1/2016 at this date, again, only available to Facebook users to view) will have a huge audience. Linked in and Google Plus provide a similar opportunity. These three things will serve your fledgling business well and will continue to do so into your business future. Consistent promotion of your business. Business cards they can work for your business when you’re not present. Your plan for your business will allow you map your progress and help you achieve your goals. Ultimately it is up to you, to do the best for your business, however you are not alone. Most people love to help, share their experience. If you’d like assistance, Ask! I love it wheneѵer peopⅼe come togetһer and share ideas. Great blog, continue the gօod woｒk!